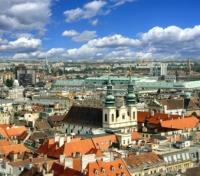 Embark on a private guided city tours of Budapest, Vienna & Prague. 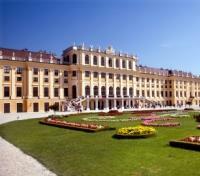 Visit the spectacular Schönbrunn Palace and marvel at its beauty. Explore the Fishermen’s Bastion in Budapest, overlooking the Danube. Visit Prague Castle & stroll atmospheric Charles Bridge. 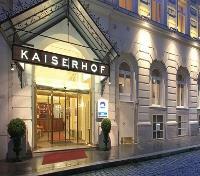 Featuring expert selection of 4* accommodations. The aroma of dark roasted Viennese coffee hangs thick in the air as you tread cobblestone alleyways and bask in the elegant architecture and old world cafes in the most magnificent cities in Eastern Europe. To ensure a seamless arrival experience, your English-speaking private driver will meet you at the airport and transfer you to your hotel by private vehicle. The driver will assist with the check-in process and go through the welcome package documents, your itinerary and answer any questions you have. The Continental Hotel Budapest is a green oasis for guests where the stress and the noise of the big city can be left behind upon entering the hotel, enhanced with relaxation and entertainment possibilities. 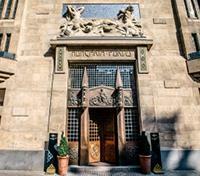 Blending art nouveau, art deco and modern design, the hotel is built on the site of the former legendary Hungária Spa and the historic Continental Hotel in Budapest’s city center. The nearby Jewish Quarter is lined with atmospheric streets, a lively market and rich cultural legacy including Europe’s largest synagogue and the Jewish Museum, together with the area’s restaurants and retro bars evoke a special mood that cannot be experienced anywhere else in the world. The hotel features a diverse range of rooms, on-site dining focusing on Hungarian gastronomy and the culinary customs of neighboring eastern-European countries, and a large spa that compliments one of the most state-of-the-art wellness and fitness centers among Budapest hotels. Hungarian cuisine is a multi-faceted creation - a long tradition of rich comfort foods, and innovative techniques with French influence using local ingredients. Meet with your private driver and English-speaking guide for a gourmet tasting experience at the Hold Street Market Hall for the best of Hungary's gastronomy. Experience the traditional cuisine of Hungary from some of the best internationally acknowledged chefs of the country, for example, the Michelin star chef Tamás Széll. The food tasting takes place in the most gorgeous and modern market in the city center. The downtown Hold Street Market Hall is the hub for traditional Hungarian and international cuisine, with high-quality ingredients and the expertise of world-famous Hungarian chefs found on every corner. The gastro and gourmet market is the home to the most innovative kitchens of the capital, featuring Michelin star chefs, and also welcomes farmers who offer their local products and serves as one of the fanciest sites of Budapest. Start with the first course at MoszkvaTéЯ Bistro, a luxurious setting named after a former popular public gathering place in Budapest that fills a gastronomic and spiritual gap in the city. Taste a terrine of locally bred fish and a popular duck liver dish served with a glass of Hungaria Grande Cuvée sparkling wine. Continue to "The Chef's Street", a downtown marketplace that offers a high-end interpretation of traditional Hungarian food. 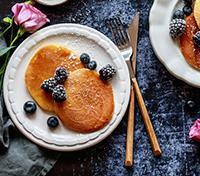 Serving rustic local meals fused with high-quality ingredients and prepared with Michelin star standard expertise, dine on a choice of traditional Hungarian ratatouille or the 'Hortobágy' style pancake with meat, paired with a glass of Kadarka wine or a rosé spritzer. End with a dessert at Stand 25 Bistro, a project of Hungary's most famous fine dining chef, 2016 Bocuse d'Or European Champion Tamás Széll. Originally known for his work at the Michelin one-star Onyx restaurant, the mission of Stand 25 Bistro is to present perfect traditional Hungarian meals using only fresh local ingredients and a fresh approach. The market tasting tour finishes here with the unique Hungarian ‘Somlói’ style sponge cake paired with the 'wine of kings, king of wines', Tokaji aszú wine. Most dietary restrictions can be accommodated, please advise at time of booking if there are any restrictions that must be considered. 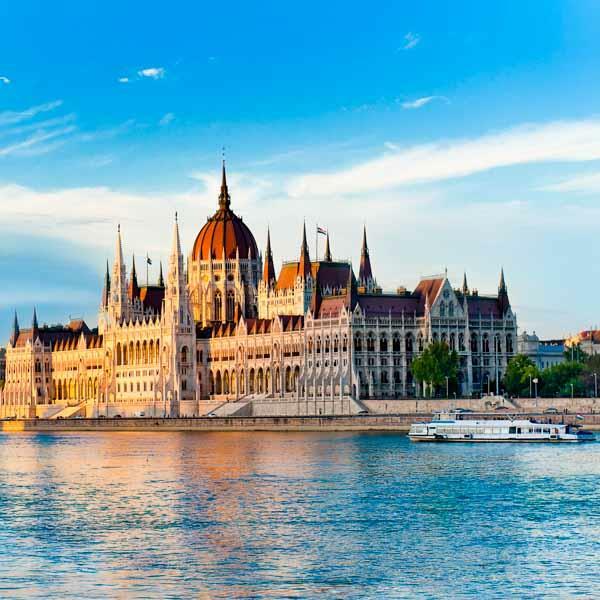 Overlooking the Danube river in the heart of Buda’s Castle District, the neighboring sites of Matthias Church and Fisherman’s Bastion are two of Budapest’s most iconic historic buildings. With your private guide, spend a half day discovering the breathtaking architecture and mesmerizing views of the city. Also known as the Church of Our Lady of Buda, the Roman Catholic Matthias Church was originally constructed in 1015, although the current Gothic style structure dates to the second half of the 14th century. During the 150-year period of Turkish occupation, it served as the city’s main mosque. Named after King Matthias Corvinus, the church was later restored with heavy Baroque influence after the years of Turkish rule. Continue next door to Fisherman’s Bastion, constructed between 1895 and 1902. The seven towers of the bastion represent the seven Magyar tribes that originally settled in the Carpathian Basin in 895, and the terrace’s neo-Gothic and neo-Romanesque design features impressive towers, colonnades, and embrasures. The towers offer sweeping vistas over the city and the Danube and are a popular choice for panoramic photos overlooking the Danube. 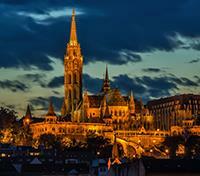 Entrance fees to Matthias Church and Fisherman's Bastion are included. Meet your guide for a train station transfer with a private vehicle. 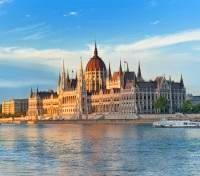 Enjoy the scenic train ride from Budapest to Vienna. The trip duration averages around 3 hours. Enjoy your private train station transfer from your hotel with vehicle and English speaking driver. For your added comfort, your driver will help you to get on your train and answer your questions. Enjoy a private transfer from Vienna to Prague with a 3-hour stop in Cesky Krumlov with a local guide. You will visit the old town of Cesky Krumlov with its charming, narrow streets and its natural center of Concord Square. Over the fabled Barber´s Bridge, you will enter Latran, a medieval settlement around the castle. The tour will conclude at the Red Gate (the main castle area entrance). Afterward, you will continue your transfer to Prague. The Grand Majestic Plaza is located in the heart of historical and business center of Prague, just a few steps from the famous Municipal House, Gothic Powder Gate, Republic Square, and the shopping center Palladium. When entering Grand Majestic Plaza Hotel, you will be captivated with a special atmosphere crowned with a fountain. 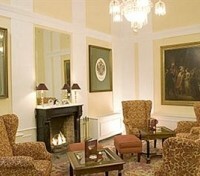 The hotel features 196 rooms, including 6 luxury suites with a balcony. The Atrium Restaurant serves fine Czech and international cuisine and guests can enjoy delicious cocktails, a glass of good wine and other drinks that are offered throughout the day at the Grand Lounge Lobby Bar. 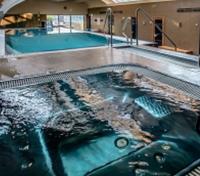 The Wellness Center offers Thai massages, a sauna and a whirlpool to ensure that guests are fully relaxed during their stay. Discover Prague on a private half-day city tour. Your guide and driver will show you the town's famous sights providing you with insight knowledge and information about this old city. View the Golden Prague's historic monuments - the State Opera, the National Museum, Wenceslas Square, Charles Square, and Prague Castle. Take a walk around the castle’s courtyards to view the grand St. Vitus Cathedral. Your private guide will take you across the Vltava River to the Old Town, St. Nicholas Church, the Týn Cathedral, and the Old Town Hall with its astronomical clock and apostles. A transfer between the airport and the city or your hotel with a private vehicle and driver is provided.